LED indicator on breakaway switch lets you know the battery powered, emergency breakaway is ready for action. If the LED light is not illuminated you need to charge or replace the battery in your breakaway kit. 7" Long wires. Call 800-298-8924 to order Hopkins accessories and parts part number HM20059 or order online at etrailer.com. Free expert support on all Hopkins products. 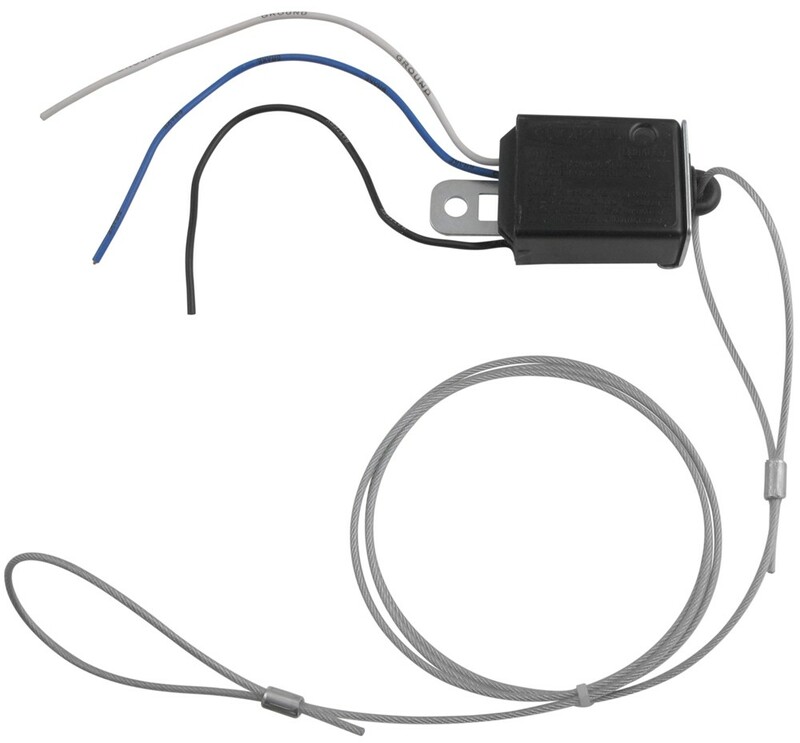 Guaranteed Lowest Price and Fastest Shipping for Hopkins LED Breakaway Switch with 7" Lead Wires. Accessories and Parts reviews from real customers. LED indicator on breakaway switch lets you know the battery powered, emergency breakaway is ready for action. If the LED light is not illuminated you need to charge or replace the battery in your breakaway kit. 7" Long wires. 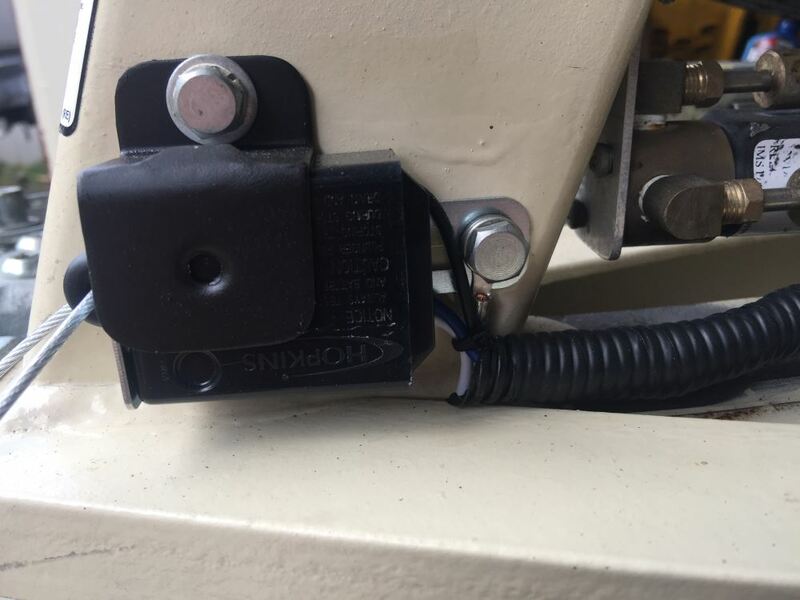 A crucial component to a breakaway system, a breakaway switch is what activates the trailer brakes should your trailer become disconnected from the tow vehicle. Order: RelevanceNewestRating - High to LowRating - Low to High LED indicator on breakaway switch lets you know the battery powered, emergency breakaway is ready for action. If the LED light is not illuminated you need to charge or replace the battery in your breakaway kit. 7" Long wires. Thanks Brad for the great review and rating!! Hopkins appreciates your business. Thank Randy F. for another great review and rating!! Hopkins appreciates your business. 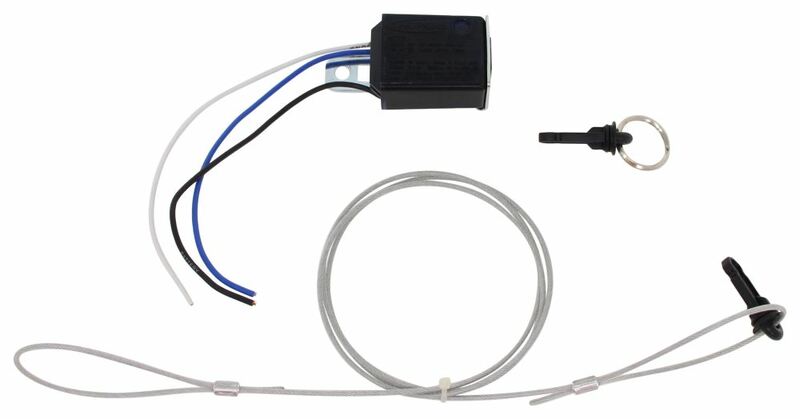 If you have the Tekonsha trailer breakaway kit you will need the Replacement Tekonsha Trailer breakaway Switch, part number 420000, to replace your lost or broken cable and pin. 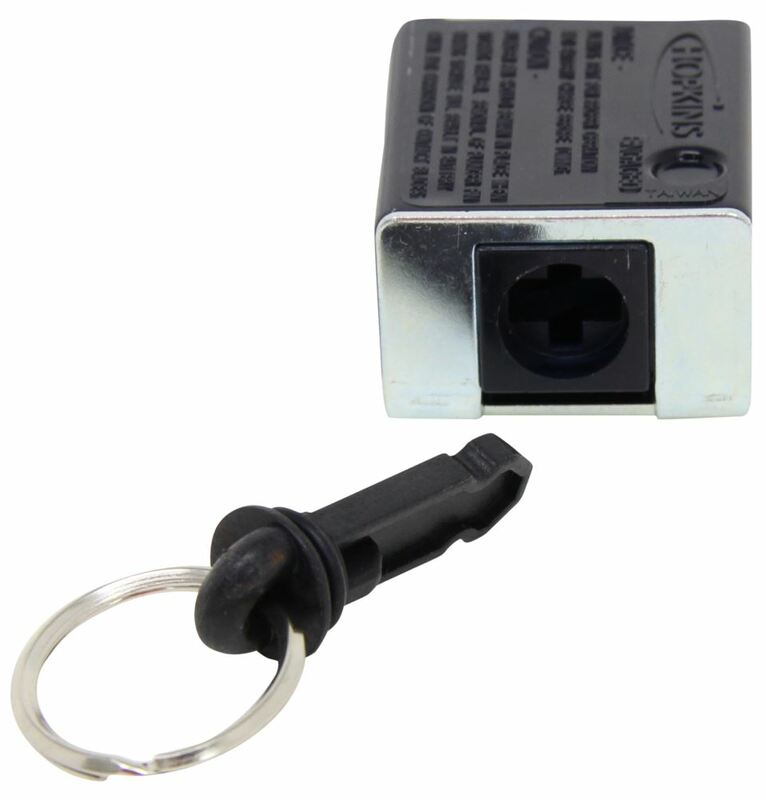 If you have a Hopkins Breakaway system then you can order the Replacement Cable and Pin for Hopkins Breakaway Switches, part number HM20051 which works on the HM20059 and HM20060 breakaway switches. 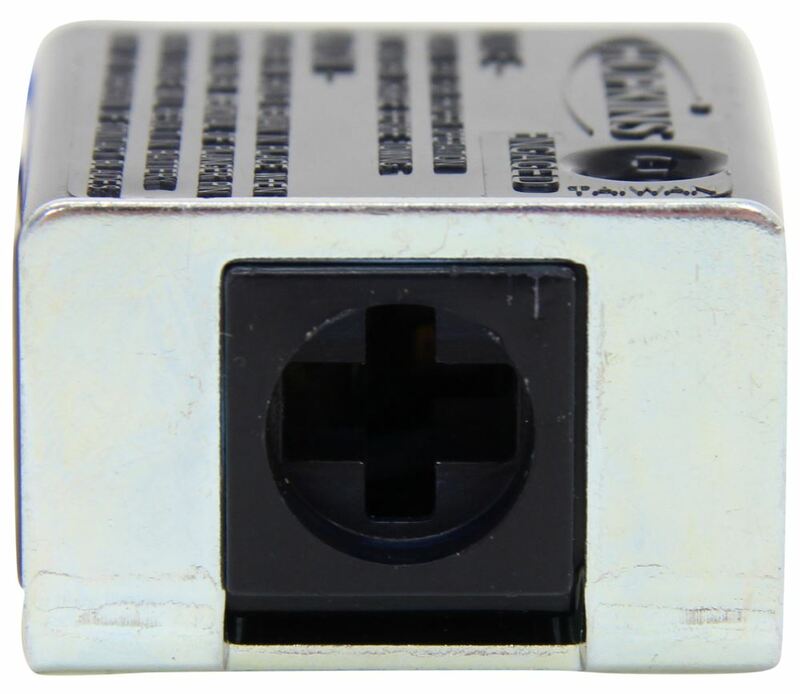 In order to turn off/deactivate the LED indicator light on the Hopkins LED Breakaway Switch # HM20059 referenced in your question, you simply will not connect the white ground wire on the unit. If the white wire is not grounded, the LED indicator will not function but everything else will work like normal. 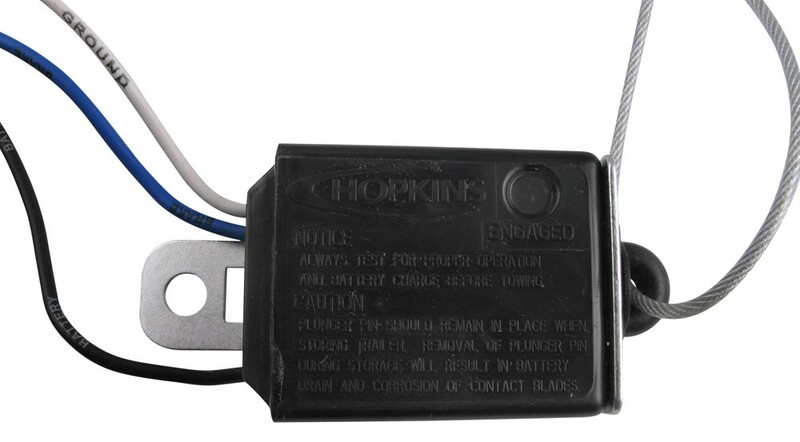 For a non-LED version, you can also use the Hopkins Replacement Break-Away Switch # HM20010. Put the pin back in and check the wiring of the switch to make sure nothing was damaged. Nothing should be reset but the switch could have been damaged or the wiring as well. For a replacement switch though we have the Hopkins kit part # HM20059 which would work well as a replacement. 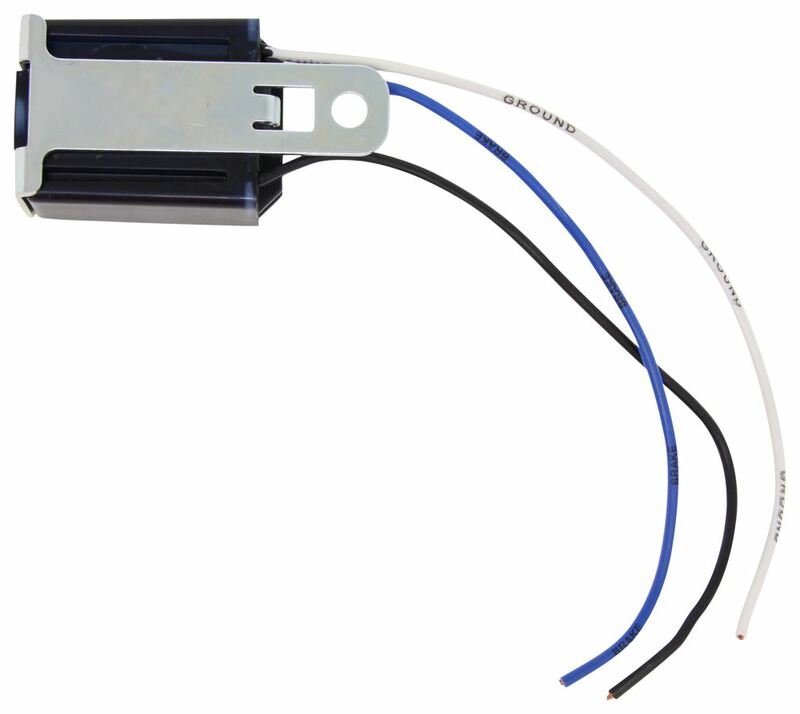 You can absolutely wire up a 3-wire breakaway switch like the Hopkins LED Breakaway Switch with 7" Lead Wires # HM20059 to replace your 2-wire switch; the difference is that the 3-wire switch has a dedicated ground wire while the 2-wire switch grounds through its mounting hardware. 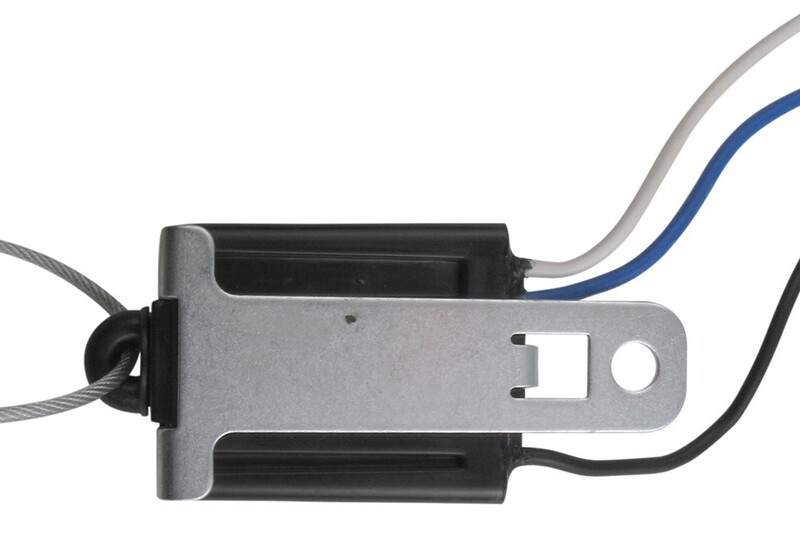 The Hopkins LED Breakaway Switch # HM20059 has the white ground wire, a blue wire which will splice into the brake wire coming out of your trailer connector and a black wire which will connect to the breakaway box. The piece of the switch that pulled out is keyed, so that it can only be inserted back into the switch one way. Try rotating the piece, eventually you will find the position in which it will go in. You will also want to make sure that the pin was not damaged. The yellow wire from the Hydrastar # HBA16 will connect to the blue wire of the Breakaway Switch # HM20059. The blue wire from the Breakaway Box # HM20121 connects to the black wire from the switch. The white wire from the switch is strictly a ground for the LED light and should connect directly to the trailer's frame.